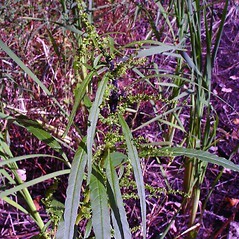 Rough-fruited water-hemp is introduced in Europe and other continents, and in much of North America, including New England. However, a few populations in Vermont appear to be native. 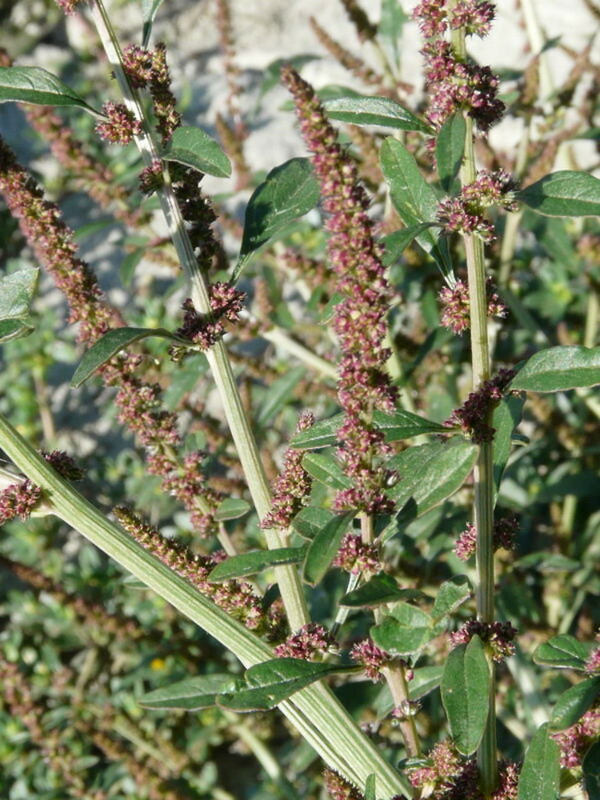 This species is considered a noxious weed of crops in parts of the Midwest, where it has been documented to evolve resistance to multiple pesticides. 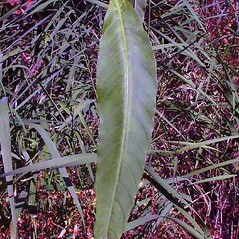 fruit mostly 2.2--3.5 mm long and leaf blades linear to lanceolate (vs. A. tuberculatus, with fruit 1.5--2 mm long and leaf blades lanceolate to ovate). carpellate flowers with 5 sepals 2--4 mm long (vs. A. tuberculatus, with carpellate flowers lacking sepals or with 1 or 2 vestigial ones shorter than 1 mm). Acnida altissima (Riddell) Moq. ex Standl. 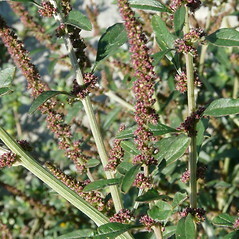 Amaranthus tuberculatus (Moq.) Sauer var. subnudus S. Wats. 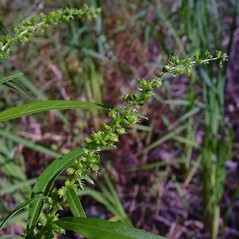 rough-fruited water-hemp. 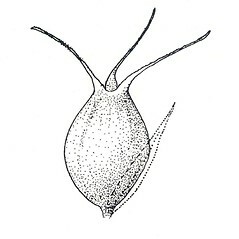 Acnida altissima (Riddell) Moq. ex Standl. 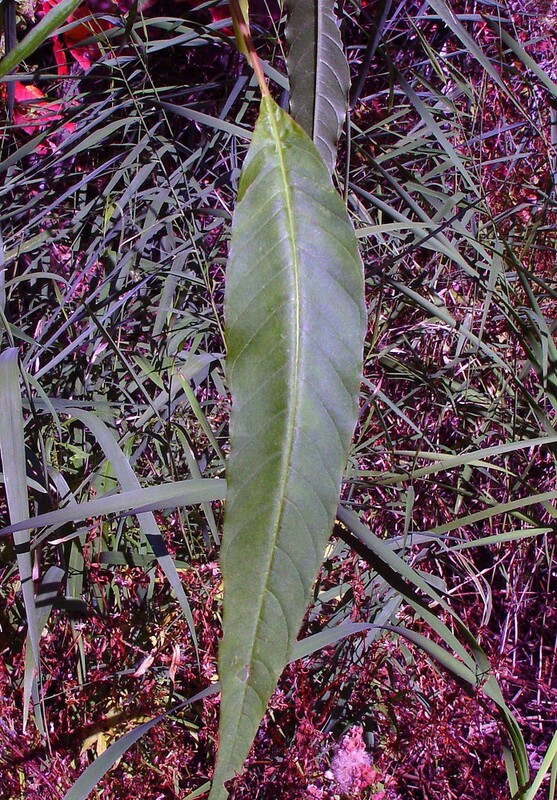 ; A. tamariscina (Nutt.) Wood var. 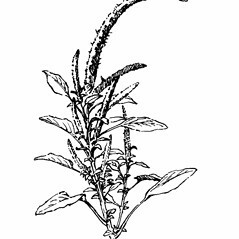 prostrata Uline & Bray; A. tuberculata Moq. 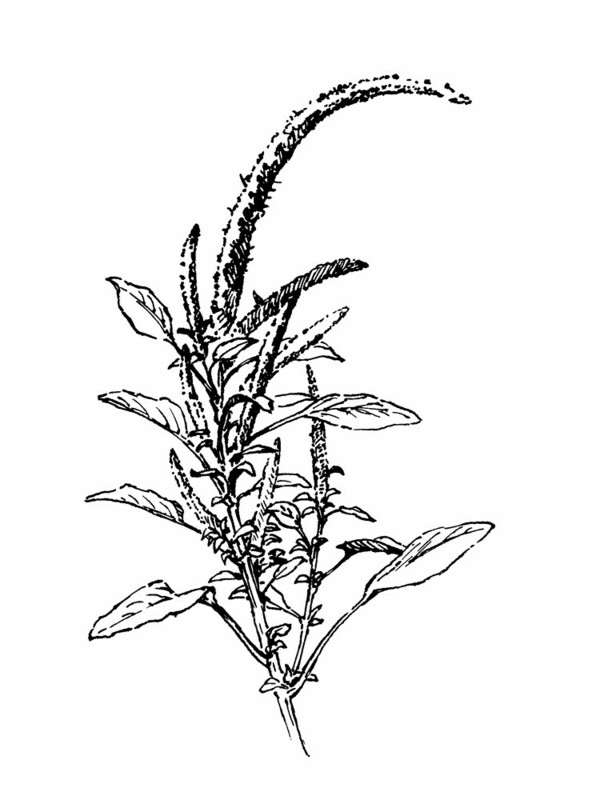 ; Amaranthus altissimus Riddell; A. ambigens Standl. 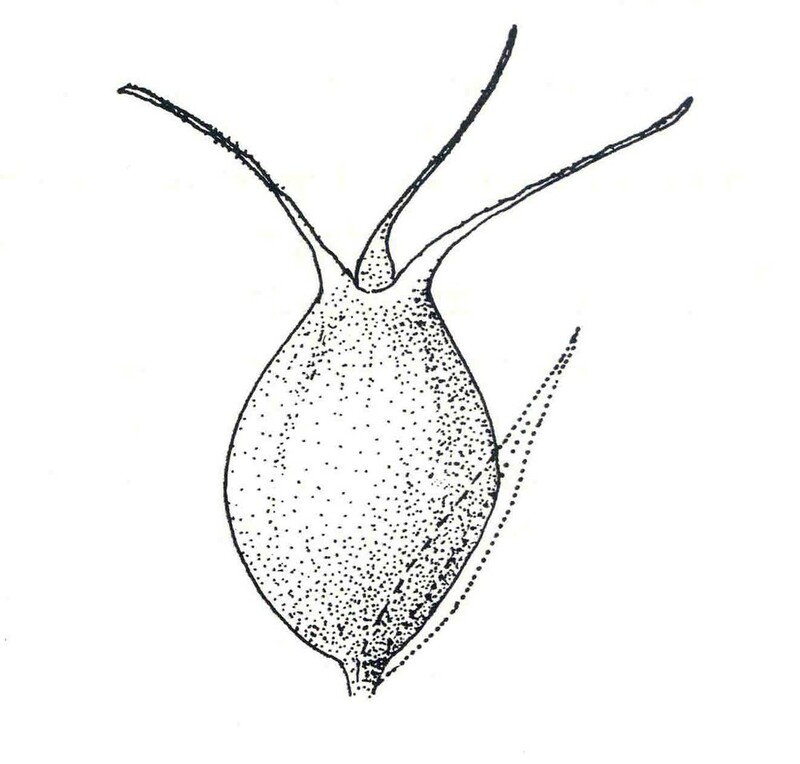 ; A. rudis Sauer; A. tuberculatus (Moq.) Sauer var. prostratus (Uline & Bray) Seymour; A. tuberculatus (Moq.) Sauer var. rudis (Sauer) Costea & Tardif; A. tuberculatus (Moq.) Sauer var. subnudus S. Wats. • CT, MA, ME, NH, VT. Fresh water wetlands and shores, gardens, dumps, and open rights-of-way. Introduced to much of New England but some populations appearing native in VT (and these of conservation concern). 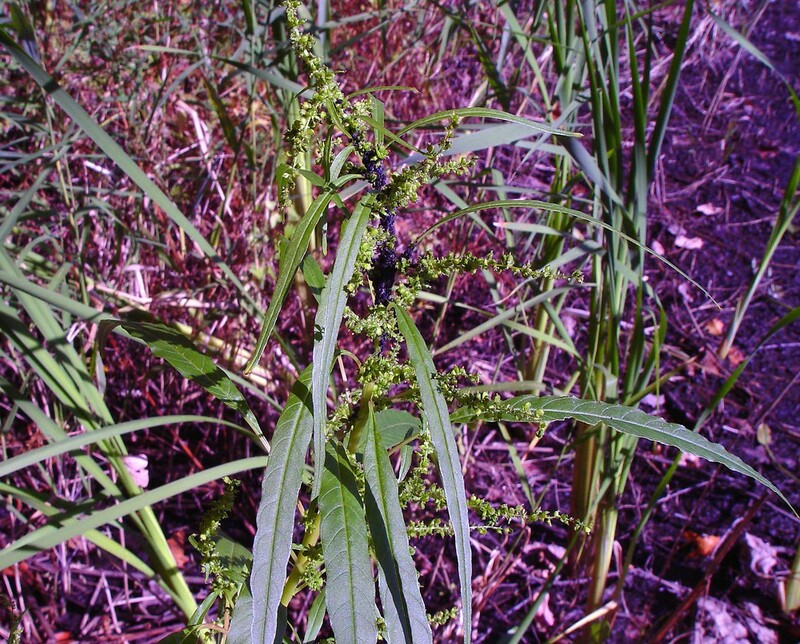 Two species within this complex have frequently been recognized— Amaranthus tuberculatus and A. rudis. 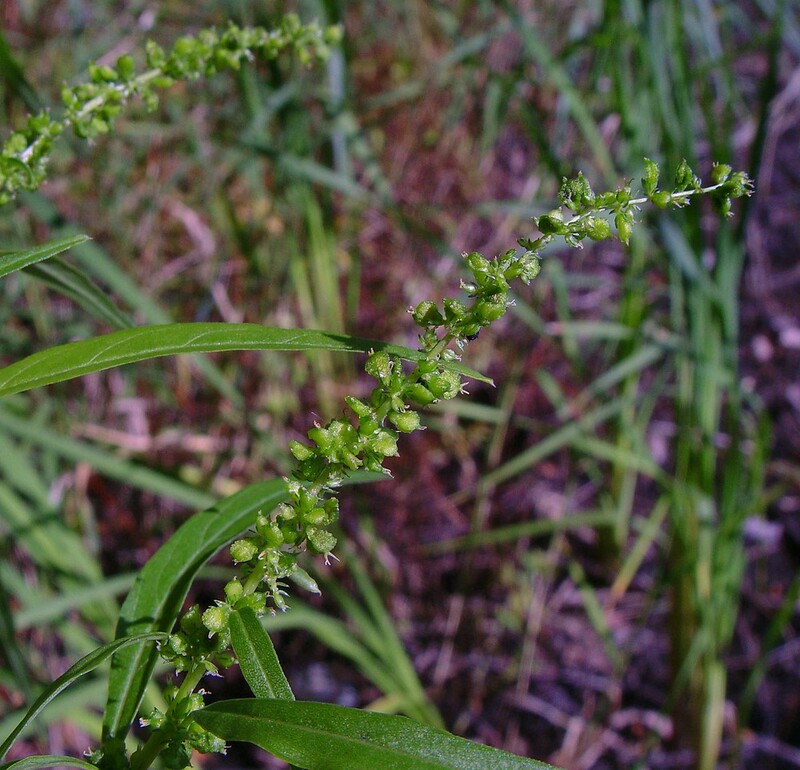 The former is eastern and characterized by carpellate flowers with 1 or 2 sepals and indehiscent fruits, while the latter is western and characterized by carpellate flowers that lack sepals (or have vestigial ones) and dehiscent fruits (among other characters). Midwestern populations have long been known to problematic (they intergrade) and have been considered to be hybrids. However, Pratt and Clark (2001) showed that a geographic cline (east to west) exists for the morphology (i.e., the phenotypic expression cannot be described simply as two species with hybridization where they overlap). Costea and Tardif (2003a) proposed a solution that treats these two species as varieties. However, changing the rank does not alter the fact that two forms cannot be confidently identified over a significant proportion of their range. Therefore, A. tuberculatus is treated here as a single, variable entity (as suggested by Pratt and Clark).